Monaco was the surprise of European football this season, averaging an astounding 2.8 goals per game on their way to their first Ligue 1 title in 17 years. Their free flowing attack receives much of the credit, but one man deserves as much praise as anyone else. That man is Fabinho. The 23-year old Brazilian made the switch from right back to defensive midfield and never looked back. Along with Tiemoue Bakayoko, he brought steel and defensive awareness to Monaco midfield. If rumours are to believed, Mourinho wants him to bring those attributes to Old Trafford. 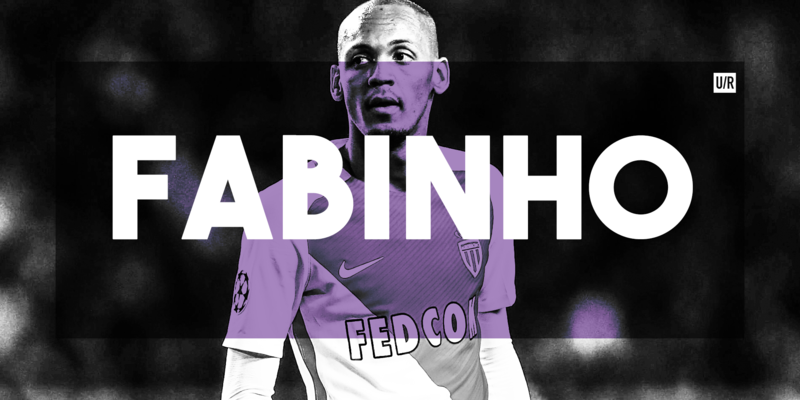 At an athletic 6’2”, Fabinho fits the profile for a physical destroyer than Mourinho likes to deploy in the centre of the park. His presence would allow Mourinho to relegate Fellaini to the bench without making United’s midfield any softer. Last season, Fabinho won 72% of his tackles, a statistic that would definitely be welcomed by the United faithful (OneFootball). The Brazilian, schooled at Real Madrid’s La Fabrica academy, is technically sound as well. He completed 64% of his take-ons and averaged an 84% pass accuracy in Monaco’s midfield. Most importantly, Fabinho’s defensive presence will bring out the best in Paul Pogba and, if in a midfield three, Ander Herrera. Pogba would be free from many of his defensive duties and could roam the left side of midfield freely, wreaking havoc upon the opposition. Should Mourinho opt for a 4-3-3, Ander Herrera would also be able to crusade from box to box, free from being the deepest midfielder. In addition to getting the best out of United’s other midfielders, Fabinho can drop in and cover Antonio Valencia when he marauds forward too. Tenacious and versatile on the defensive end, Fabinho also chipped in with 9 goals last season. Goals from the midfield are always welcome at Old Trafford and the Brazilian has a reputation for being cold-blooded from the penalty spot. Mourinho should do everything possible to bring Fabinho to Manchester United. The player himself said he would love to play at the club and United should make that dream a reality. He wouldn’t be a name that would have jerseys flying off the shelves, but he could be the most important signing Mourinho makes this summer.